Since 1987 ~ we are proudly celebrating over 32 years of service. Since we were a little shop on the corner, we are continuously upgrading our skills and industry techniques while maintaining a safe work place for our employees and staff. Our vision is to provide quality screen printing, embroidery and promotional advertising products to the end user and to the trade. We work hard as a team to earn your trust, confidence and patronage every business day. From our entire staff, we thank you. We extend an open invite for you & your colleagues to stop by and visit. A warm welcome...We are Body Teeze Screen Printing & Embroidery, and we welcome you to the wonderful and sometimes crazy world of screenprinting, embroidery and promotional advertising. 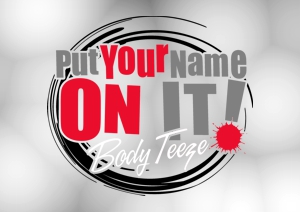 Body Teeze started screen printing t-shirts & sportswear in 1987. To date, we operate a state-of-the-art facility and are considered a leader in our region for quality screen printing, embroidery and promotional advertising products. Who uses our products & services ? Everyone, look around... 9 out of 10 people are wearing a screenprinted or embroidered t-shirt, sweatshirt, cap or jacket with their corporate logo, favorite sports team or product, and if you dig into your pocket, I bet you have a decorated key chain. From inexpensive t-shirts to beautiful upscale embroidered polo & golf shirts, hats & jackets. Your needs might be for your business as corporate wear for uniforms, sales or marketing promotions, employee incentives or awards, company picnics, golf outings; or for your school, church, club, special event, fund raiser, athletic team, frat, sorority or Christmas gifts... and the list goes on. Body Teeze can decorate many affordable products to promote yourself, your business, your group or function with pride. Body Teeze offers complete screen printing & embroidery services along with tons of promotional advertising & fund raising products to the end use and to the trade. Our facility is over 6500 sq. ft., with expanded customer service, art and production areas, along with a 1500 sq. ft. warehouse with a UPS height loading dock to properly ship and receive our customers goods. We are easy to get to; we are 2 blocks off of Rt. 22 at the Fullerton Ave. exit, with plenty of parking. As always, whether your need is for screen printing or embroidery for t-shirts, golf, staff or polo shirts, sweats, jackets or promotional products such as pens, mugs or magnets, Body Teeze can help. If you have any questions or would like to place an order, please do not hesitate to contact our customer service department at 610-776-7635, by fax at 610-776-1004 or by email at info@bodyteeze.com. We would be glad to explain our products and the process to get them customized or decorated with your logo or artwork. On Chestnut St., go to bottom of the hill, and at the stop sign Body Teeze will be on your right. • Our terms are 50% deposit with the balance C.O.D. • Online orders are to be prepaid in full including but not limited to shipping and/or sales tax. • We accept cash, personal or company check with one (1) form of government issued ID for verification. • Visa & Mastercard are accepted. • Trade accounts and customer orders of 1200, 2500, 5000 or 10,000+ pieces, please inquire directly. • Managment reserves the right to accept and/or decline an order, offer or recind billing terms as well as request prepayment by check, money order or cashiers check. Everything we produce is custom decorated. All quotes will be put in writing and emailed to an email address provided or faxed. All written quotes are honored for thirty (30) calendar days to allow for budgeting and project scheduling. If you would like to request an appointment, simply contact us and we would be glad to schedule it to go over your project. If you choose not to provide contact information, any phone quotes are estimates only.